I created this space to reclaim time. Two and a half years ago, in the days leading up to the birth of my son, I knew what it was like to have it. Time, that is. Time to hardheartedly think about what to cook for supper; time to plan a dinner party for your closest friends without the rush of life interfering; time to look around a bare room and spend an afternoon designing space in your head. Welcome to Chasing Thyme. 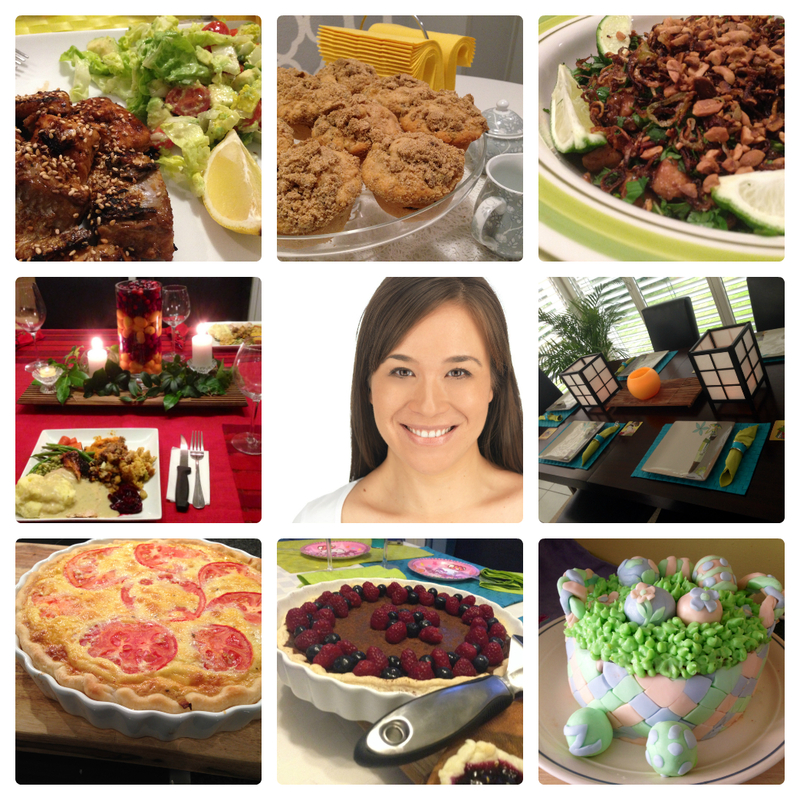 On this page, you’ll find my favorite recipes, many of which were created during nap time, my home & children’s craft designs, most of which were slowly executed in between tantrums and potty-training mishaps, and my new culinary and creative adventures in both. Thank you for joining in this journey. I’ve always enjoying cooking, and many of my recipes reflect the life I have led. I was raised on the south-side of Chicago, with a father whose favorite Sunday pastime was making homemade soups and tending to his vegetable and herb garden in our backyard, and my mother, an artist from a small village in the mountains of Nara, Japan, who effortlessly fused her Asian culinary skills with her new Western lifestyle. I was taught well. But it wasn’t until I left home and had to “feed” for myself that I began to enjoy the awesome vastness of our world’s many cuisines. My life as an expatriate began in Japan when I was a 23-year old graduate student. It was my first real taste of living overseas. After Japan I found my way to Hong Kong, where I spent the next seven years working as a radio and print journalist. This is also where I met my husband, an Irish-born native who shared my passion for food, travel, and a good laugh. When we weren’t feasting upon the breadth of Hong Kong’s international cuisine, we were traveling through the likes of China, Thailand, Cambodia, Vietnam, even Burma, all along the way enjoying the incredible dishes each city and region had to offer. In 2011, we bid farewell to Asia and made a two-year stop in Washington D.C. before relocating in May 2013 to Basel, a sleepy Swiss city nestled on the border of France and Germany. This is our new home. The expatriate lifestyle has become a part of our lives. And at every stop, at every corner, nook and cranny, I’ve taken the time to learn about the local foods, to taste the cuisine, and to try and introduce it into our lives. Food is therapy. Food is art. Food is simply something that should be shared. And that is what I intend to do. On this site you’ll also bare witness to some of my home designs and children’s projects, some which are already completed, some that are still a work in progress, and others still that are creating space in my head. My mother was an amazing seamstress and painter. Growing up, every Halloween costume was homemade, and every birthday party, from the cakes down to the decorations, was simply magical. Who needed a fairytale story when we lived with our very own fairy godmother? I only managed to capture an iota of her talents. But I do love creating space. And I do hope that as my son grows up, he will appreciate the time, thought and passion that goes into creating such magic. I created this space to reclaim time. It’s time to begin. Loved your chicken recipy, and did remind me of my HK days..similar to yours :-)..will try it soon.